A Sacramento man was arrested in Citrus Heights on charges of bank robbery and violation of parole. 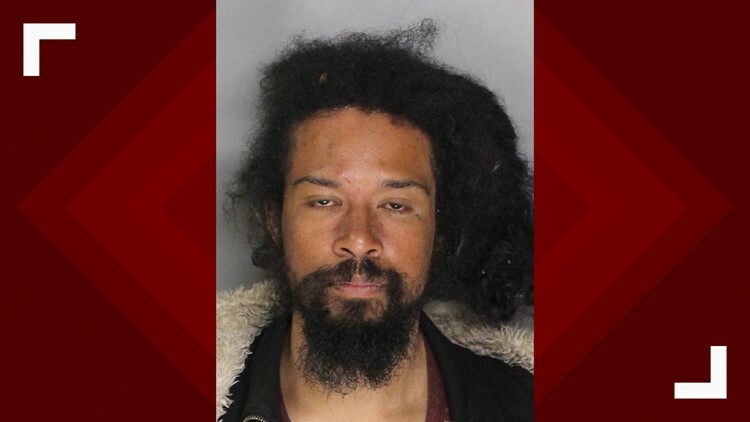 CITRUS HEIGHTS, Calif. — A Sacramento man was arrested on charges of robbery and violation of parole by Citrus Heights police officers. The man was identified as Giovanni Johnson, age 20, of Sacramento. According to police, Johnson was on active parole for bank robbery at the time of arrest. Giovanni Johnson, of Sacramento, was arrested on charges of robbery and violation of parole. On Monday, Citrus Heights police had responded to Bank of the West on 7381 Greenback Lane around 3:44 p.m. regarding a report of a robbery that had just occurred. According to police, the reporting party was a bank employee, who advised authorities that a lone male suspect entered the bank, approach a bank teller, and passed the teller a note demanding money. Police said the note mentioned a gun, but, no weapon was brandished or used during the robbery. The suspect was said to have fled on foot with an undisclosed amount of money. The suspect was described as a black, male adult in his late 20's to early 30's and as wearing a red beanie. He was also described as being in possession of a lot of clothing. Arriving officers investigated and began checking the area to locate the described suspect. Johnson was quickly found by police and matched description that was provided by employees. Police say he was also positively identified by witnesses as the robbery suspect. Those with any additional information on the incident can call the Citrus Heights Police Department at (916) 727-5500. Nineteen days after a big-rig collided with a tow-truck, throwing it and two passengers into the Sacramento river, a private dive team and crew has pulled it from the water.